Japanese car maker Honda has launched the Honda City Automatic variant for the Honda City S trim. The Honda City S Automatic price in India has been kept at Rs 9.09 lakh and at this price, it has become even cheaper than its rival Hyundai Verna 1.6 VTVT SX (O) AT that has a price tag of Rs 9.93 lakh. The City has come a long way and has cherished the title of best sedan in India once but then came the petrol price hike wave and along with it the name and fame started to slid. Also, launch of Honda City S AT will be targeting the Ford Fiesta Style AT car that has a price tag of Rs 9.13 lakh. Now that Honda City has come in a cheaper Automatic avatar, it is believed that the war between the automatic transmission sedans is going to worsen and only time will tell which one will be the winner. The prospects of Honda City Automatic are more but absence of only petrol models is a big minus for this car. Among the three i.e. Verna, City and Fiesta, only Verna has an automatic version in diesel - Hyundai Verna Fluidic 1.6 CRDi SX (O) AT but this model is priced at Rs 11.26 lakh which is very high. Notably, the Honda City is already available in Automatic version but the City V trim has it and that is the top model and is priced at Rs 9.62 lakh. This City S AT is believed to bring sudden response to the car. The Automatics Honda City S trim has all the features of including Multi-function Steering Wheel, Alloy Wheels, Driver seat Height Adjuster, Keyless Entry and other features and most importantly it now has an automatic transmission in place and that too at an attractive price of Rs 9.09 lakh. The City S AT features a five speed paddle shift transmission system. Compared to the Skoda Rapid Ambition AT which is priced at Rs 8.42 Lakh, the City S AT is still over priced. Honda City S Automatic comes with advanced features.. I think,New Honda City S Automatic price can impress car lovers. 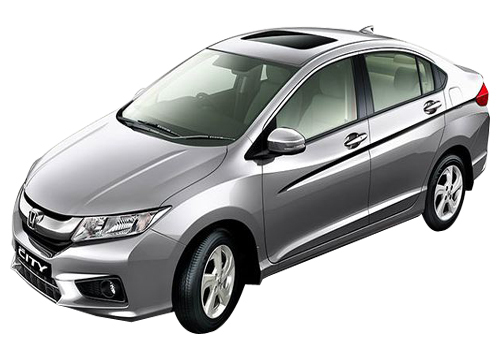 Honda City is sedan car offers a fuel economy of 12.5 kmpl in city and 16.8 kmpl on highways. Honda City Now available in Automatic version. Honda City looks like a luxurious sedan. It is a good news that Honda City is coming with AT option and with very minimum price range. Honda city looks luxurious and also having very comfortable interiors..